Thanks for watching DweebCast on Ora.tv! More from Ora: XMAS DIY: Jennifer Landa's Yoda Yultide Fizz! 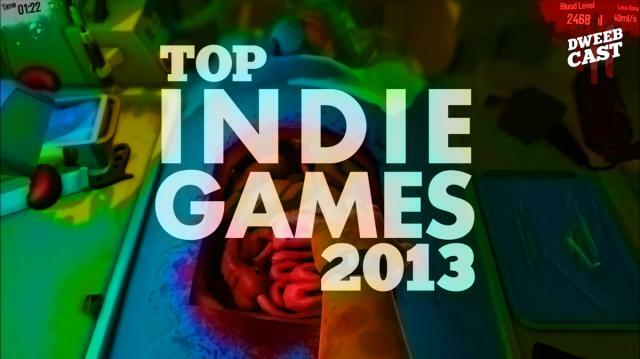 Best Indie Video Games of 2013! Sure, sure, we know you love your GTA Vs and your Call of Dutys but how about the lesser known games? We take a look at some of best titles that may have flown under the radar for most of the unwashed gaming masses -- the best indie games of 2013! XMAS DIY: Jennifer Landa's Yoda Yultide Fizz! The Best Superhero Movies of 2013! Goin’ Apesh*t w/ the ‘Dawn of the Planet of the Apes’ Trailer! DIY Death Star Cheese-Ball with Jennifer Landa! Epic 'Game of Thrones' Burns on 'Roast Joffrey' Day!